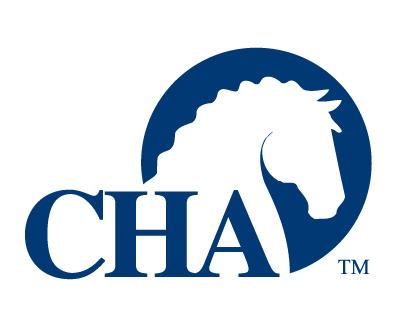 The place to be for horse lovers. 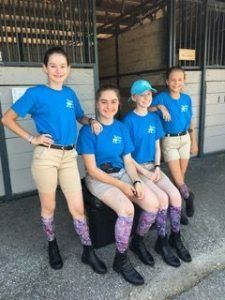 What do Pony Club members do? Rallies- Fun events with different riding disciplines to compete in with other clubs to evaluate yourselves, your team and make new friends. Rallies are an opportunity for members to put into practice all that they have learned, both riding and horse management skills. Teams are responsible for themselves and their mounts. Rallies are designed to test the riders skill in the above disciplines, but most important are the life skills they learn competing at these rallies. Competative rallies teach members about themselves, support, and reliance on others; about sportsmanship and personal growth. 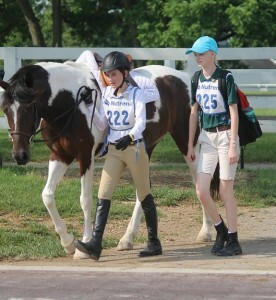 Parents and trainers are forbidden in the stable and assisting so members have to make very important decisions for themselves and their teammates. As many anxious parents watch their child spend several days they delight in the pride of thier child’s accomplishment. Team competitions in each of the disciplines take place over a period of several days. 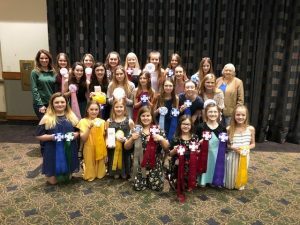 Peachtree Farms is in the Mid-South Region, which is made up of 38 other USPC groups. We hold study sessions to prepare our members for the questions they will be asked at Quiz as well as all year round to improve overall horsemanship skills. Parents are instrumental in preparing the member for quiz by having study sessions in which many parents also learn a lot about horsemanship/horse management. Ratings are an evaluation of members to encourage them to constantly try to become outstanding horsemen/women. 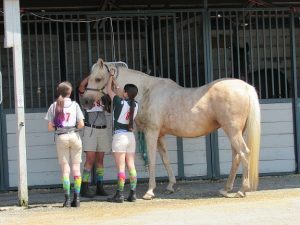 “D” Ratings are an introduction to the enjoyment and challenge of riding, while establishing a foundation of personal safety and knowledge of the daily care of the pony and tack. D1-D3 members learn to ride independently, with control, while keeping a balanced seat at the walk, trot and canter, as well as over low fences. Ratings advance to “C”, “B” and “A” as your knowledge and skill grow. Copyright © Peachtree Farms, LLC. All rights reserved.